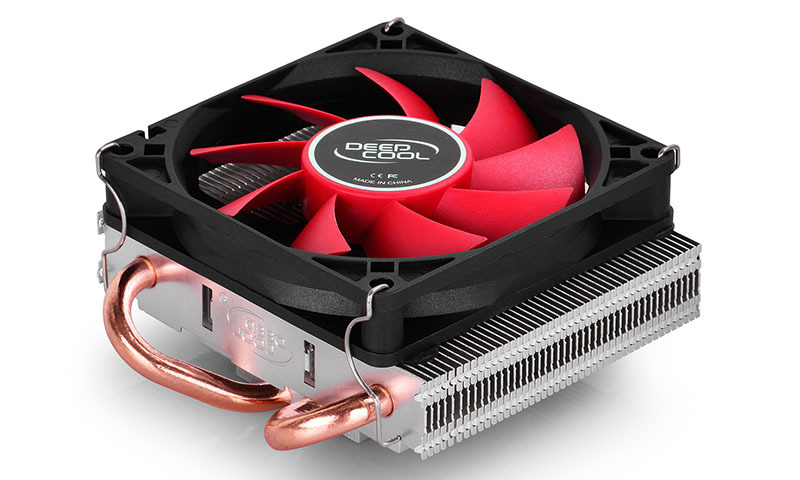 Looking for a CPU cooler small enough for your compact tower case? HTPC-200 is your ideal choice. HTPC-200 features Core Touch Technology (CTT) that achieves excellent heat dissipation despite its slim size. HTPC-200 is a thermal solution specifically designed for DIY enthusiast or gamers working with small tower cases. Extreme dimensions at 90 mm x 97.5 mm x 47 mm (Width x Depth x Height). Getting any lower will require us to bend the law of physics. 2 sintered metal powder heatpipes directly contacting the CPU surface for rapidly removing heat and eliminating chances of overheating. Equipped with multiple clips to support Intel LGA1156/1155/1151/1150/775 and AMD FM2+/FM2/FM1/AM3+/AM3/AM2+/AM2. Equipped with multiple clips to supporst Intel LGA1156/1155/1151/1150/775 and AMD FM2+/FM2/FM1/AM3+/AM3/AM2+/AM2.